Get Up to 10x the Punch Life Using PVD Coatings! Punch More Holes with PVD Coatings! Presses always down to sharpen, or replace punches? Reduce your maintenance and get 8 – 10x tool life with PVD coated punches. 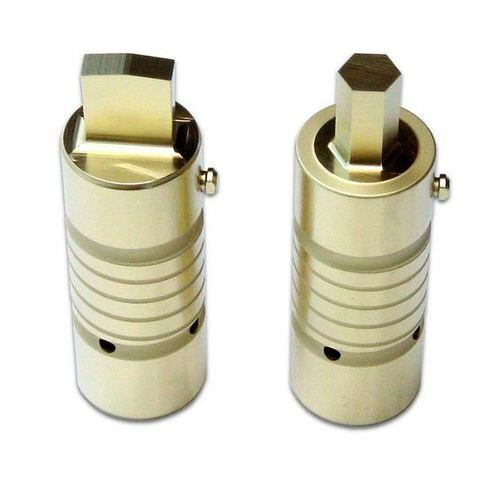 If you’re punching lots of holes, a PVD coating is a necessity for maximizing tool life and minimizing press downtime. When punching, the cutting edge of the punch wears as it goes into and then through the sheet metal. As the punch continues to the bottom of the stroke, wear continues at the cutting edge and down the side of the punch. As the punch is stripped from the metal sheet, the punch wears again, only in the opposite direction. With a PVD coating, the punch edge holds up much longer and side wear and galling (metal sticking to the punch) are greatly reduced. And when the punch is sharpened, the coating remains on the punch sides to continue providing the same benefits over and over. Additionally, one usually doesn’t have to remove as much material to get a sharp edge, thereby increasing the number of times a coated punch can be resharpened. 6 – 10 x longer life over uncoated punches. Less material pick-up, cleaner holes. When sharpening is required, less material has to be removed, resulting in more sharpenings per tool. More up-time, all resulting in more profits. 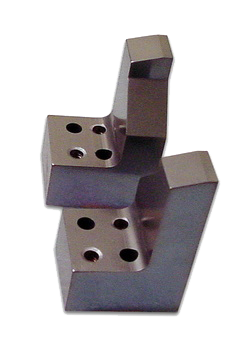 Alpha™ , TiCN, CrN, and TiN are the primary coatings we offer for punching and stamping applications. ​Due to Alpha™ and TiCN being extremely hard, those two coatings usually last 2 – 4x longer than TiN. ​If galling is an issue, check out CrN for improved lubricity. (Please see the “Coatings” pages for more detailed information on these four coatings). 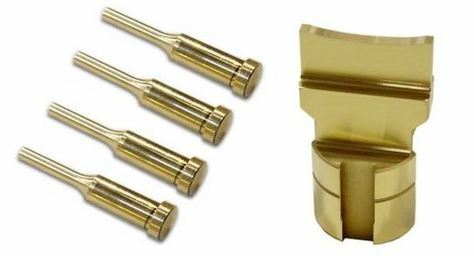 We coat many different types of punch materials, including A-2, D-2, M-2, etc. Some customers are concerned about drawing back their tool steels during the coating process. This may happen with some materials, but it usually doesn’t affect the performance of the punch if the hardness remains above 55 Rc. Punch Up More Profits With a PVD Coating!